There are lots of different remedies out there for mud fever (and other related winter skin conditions), but my approach is primarily preventative. To avoid the first problem, it is important to realise that healthy skin has an acid mantle - pH 5.6 - and this itself inhibits the growth of many micro-organisms. Over-use of shampoo or antiseptic scrubs, which are usually alkaline, can disturb this delicate balance and actually develop conditions which encourage the growth of some hostile microbes. This is why I avoid shampooing my horses as much as possible and when I do, I rinse off with cider vinegar in water. This helps to restore the acid mantle. 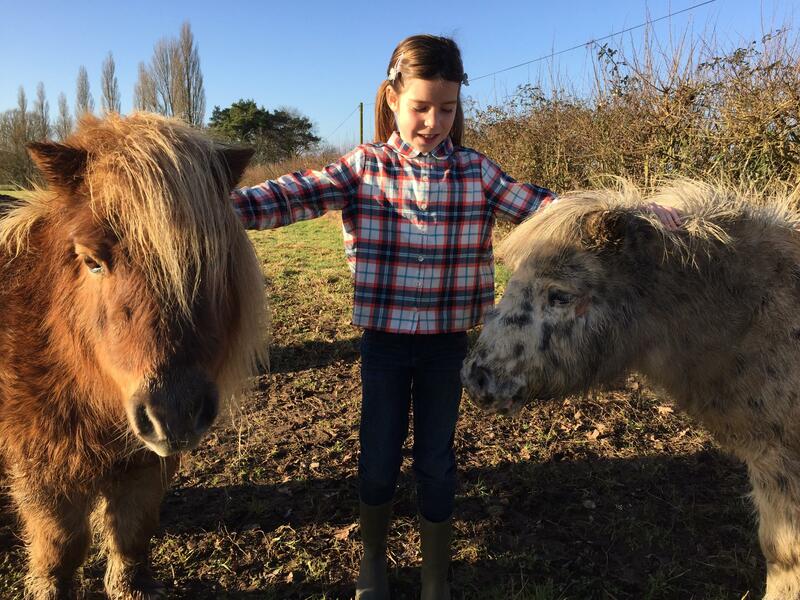 To avoid the second trigger - a prolonged warm, moist environment - it is necessary to dry the vulnerable area before leaving the horse to stand in a stable. 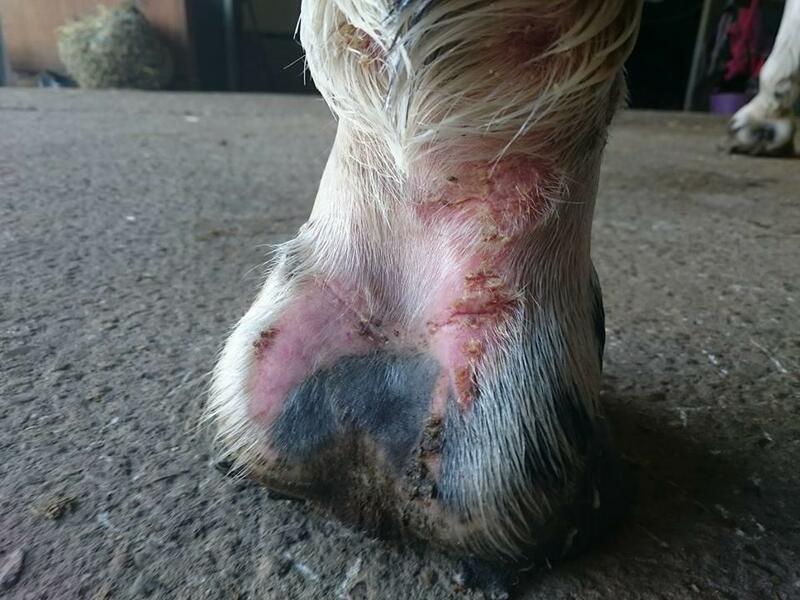 Some people find it is easier to do this if the hair is clipped off the lower legs, but I find two problems with this - firstly clippers can leave invisible nicks in the skin where microbes can enter and secondly the hair itself can actually protect the pastern and fetlock area in wet weather, by channeling water so it runs over the area without actually soaking through the depth of hair. This doesn't work of course if the horse is knee deep in wet mud in the field for prolonged periods. I usually dab away most of the moisture with a wad of cotton wool before applying powder, massaging it in gently against the hair direction, making sure it reaches the skin. I find this is probably the most important preventative action I take - more important than cleaning the area, and is an essential if you are applying a waterproof cream. The third trigger can be avoided by leaving the areas uncovered as much as possible. The use of field boots in my opinion exacerbates the problem, trapping moisture and excluding air, creating a perfect environment for may of the aggressive microbes. A similar problem can occur when using a waterproof barrier application on wet skin - thick oily products are inappropriate here. Any creams or lotions should be water-based (aqueous) so that the skin can breathe. My recommended regime is a 3-step method: cleanse - dry - treat, and I have developed products along these lines which many of our friends and customers use very successfully. The cleanse step is achieved using Winter Wash spray - based on cider vinegar, Epsom salts, surgical spirit and oil of wintergreen. I dab the area dry with cotton wool (I get through a lot of this!) then finish with Flowers & Zinc antiseptic drying powder. 'Keratex' is also very good for this purpose. I then complete the process by applying Mudbar Plus cream (or Sweet Relief Silver) to the scabs and inflamed areas. 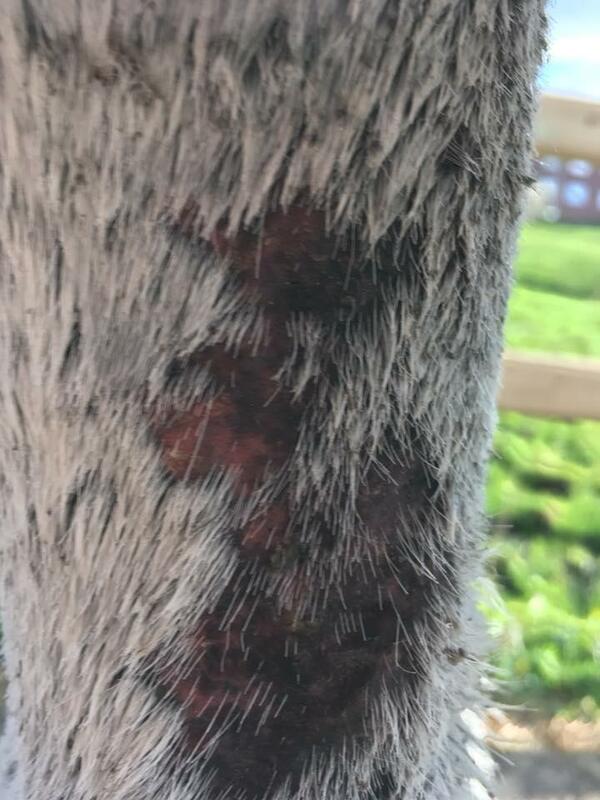 I believe in letting the scabs drop off when ready and I also think it's beneficial to walk the horse out on dry ground as often as possible to aid circulation and therefore the healing process. All 3 products can be purchased together as a pack from the website - Winter Revival Pack - at a reduced price.